At this time of year my daughter Trinity and husband Tim are usually suffering from their usual bouts of coughs and colds. I actually made this bend of tea to help them with their colds. It is a blend of coltsfoot and marshmallow root with some honey. Remember, it is always important to get checked out by a medical professional first before diagnosing yourself and treating yourself with herbal remedies. Coltsfoot looks very similar to dandelion and it grows along the side of the road in North America. It is fantastic for relieving congestion from the symptoms of bronchitis, coughs, laryngitis and pneumonia. The alkaloids in coltsfoot are antibacterial and anti-inflammatory. Small dosages of coltsfoot open up the bronchial passages (large doses close them). Coltsfoot coats the throat relieving irritation too. Use in tea form, do not give to children in cold-remedy form (sold as over the counter cold remedy). Do not use tinctures for more than 4-6 weeks of the year because of small amount of alkaloids that may be carcinogenic. May cause high blood pressure. Marshmallow plants grow in wet marshy areas and have a hibiscus like blossom. The root relieves symptoms of irritation of the mucous membranes. It helps your body rid itself of excess fluid and mucous. It is an ingredient in many cough syrups. 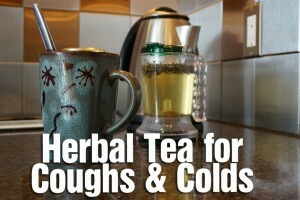 It is great for dry coughs too. Marshmallow can impair the absorption of many drugs so allow 2 hours between this and any orally administered drugs – or check with your doctor. There is some evidence that marshmallow lowers blood sugar in lab animals, so caution is advised for people with diabetes. Steep Marshmallow root and coltsfoot for 3 to 5 minutes, add 1tsp of honey. 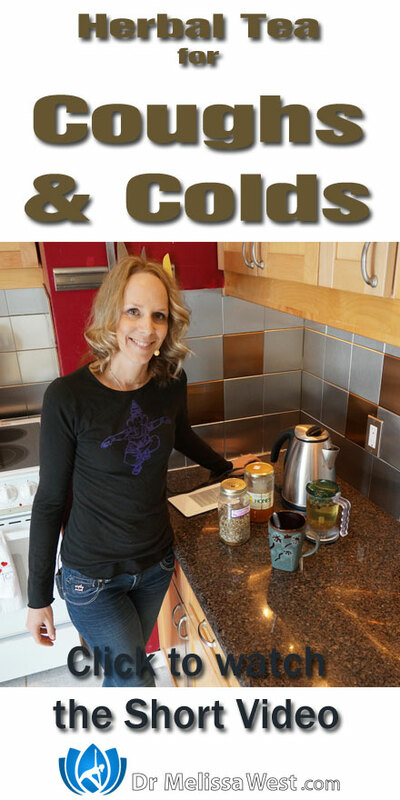 Do you have any tips or tricks for dealing with winter time colds? Leave your comments below. I would love to hear from you.